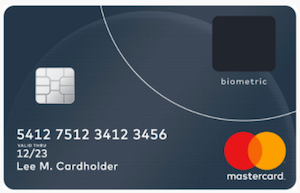 Mastercard announced on Thursday the launch of a biometric card that combines chip technology with fingerprints in order to allow consumers to easily authorize financial transactions and verify their identity when making a purchase. Before using the fingerprint feature, cardholders need to register the card with their bank. During this process, the user’s fingerprint is converted into an encrypted digital template and stored on the card. When making an in-store payment, customers dip their card into the point-of-sale (PoS) terminal and scan their fingerprint on the embedded sensor. If the fingerprint matches the one stored on the card, the user is authenticated and the transaction is approved. In the future, Mastercard plans to combine the new biometric feature with contactless technology in order to make purchases even more convenient. Mastercard believes the new cards have benefits not only for consumers, but also for issuers, as the technology can help detect and prevent fraud, reduce operational costs, increase approval rates, and stimulate customer loyalty. The new cards have so far been tested in South Africa by supermarket chain Pick n Pay and Barclays Africa subsidiary Absa Bank. Trials are also being planned for Europe and the Asia Pacific region in the coming months. In the meantime, these cards work at any existing EMV terminal without requiring any software or hardware upgrades. Over the past years, Visa, Mastercard and American Express have been working on introducing security enhancements designed to protect consumers, merchants and banks against fraud. However, fraudsters and cybercriminals have also started developing the tools and techniques necessary to bypass modern security mechanisms, such as the ones that rely on biometrics. Related: EMV Payment Cards: Salvation or Failure?